Mickey Sarquis (editor). 2000. 75 pages. 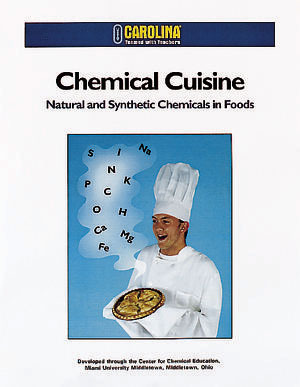 Guide students through an exploration of foods with demonstrations, scenarios, activities, and handouts, and watch them discover that all foods are composed of chemicals. Experiments in food spoilage, sweeteners, fats and oils, colors, and flavors are presented in 5 units that can be used individually or as a group in any sequence. Each unit contains content review, notes, setups for activities, and a classroom materials list. Soft cover.